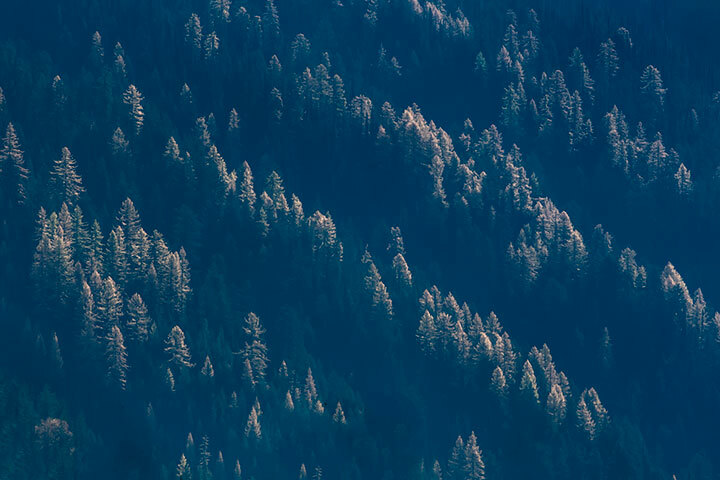 When I was a child, I was told of two kinds of trees: deciduous and conifer. 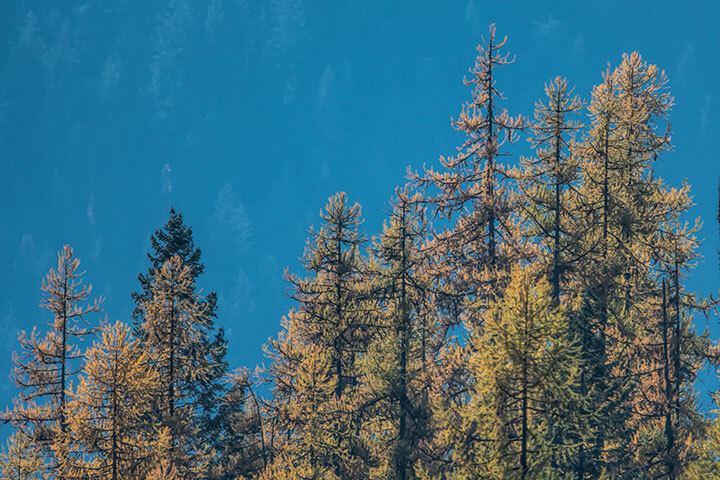 This distinction seemed odd, for these are not matching classifications: deciduous refers to a seasonal shedding of leaves; conifer to a reproductive structure. Skepticism was appropriate: there are, in fact, broadleaf trees that are evergreen — the arbutus, and conifers that are deciduous — the larch. Indeed, my favourite deciduous tree is the larch. Each fall, it decorates the mountainside when its needles turn golden before being shed. The Western Larch flows down this distant mountainside like ringlets. These backlit larch appear orangish. 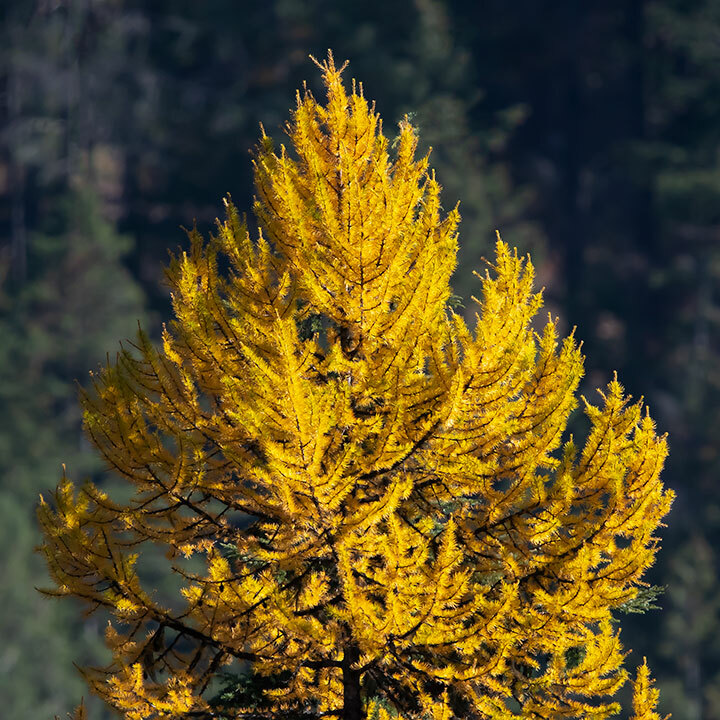 And nearby in bright sunlight, the larch is golden. The strange yet so beautiful anomaly of the tree, which appears part of the year as a conifer, then sheds its needles! Karen, it is a conifer year round. But, it is a deciduous conifer.